Watch for his products at MaArte 2017. 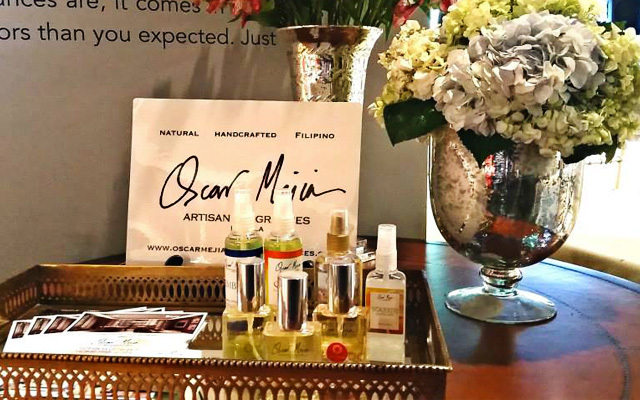 Oscar Mejia Artisan Fragrances is one of the exhibitors in this year’s MaArte Fair on August 11 to 13 at The Peninsula Manila in Makati. 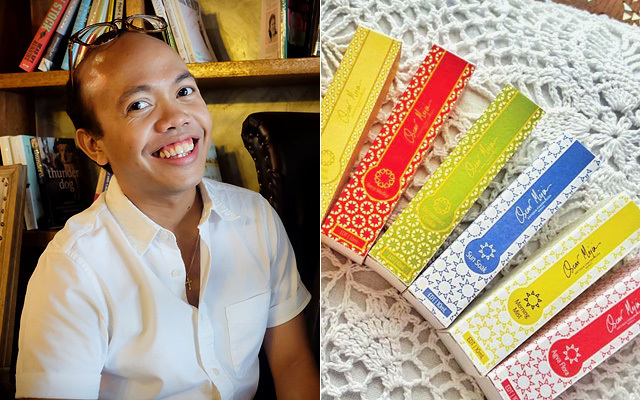 SPOT.ph had a short chat with the founder himself to find out more about his one-of-a-kind product line. 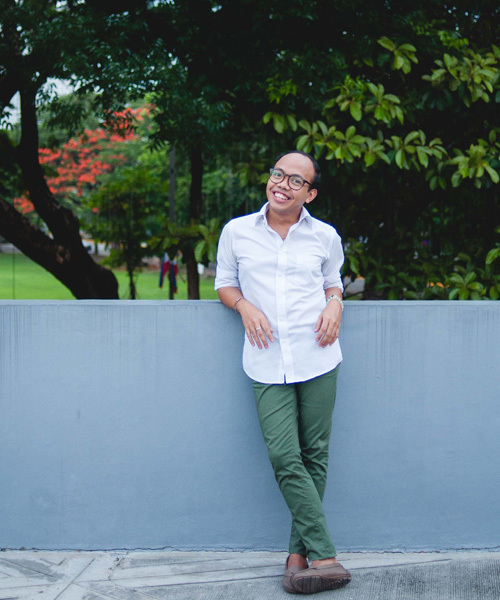 SPOT.ph: So how did Oscar Mejia Artisan Fragrances start? 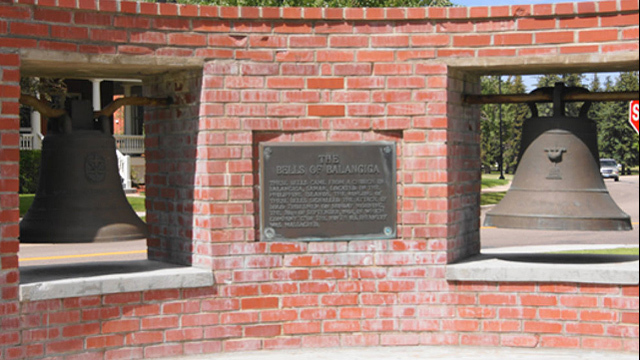 Oscar Mejia: It started three years ago as a business. But then the passion has been with me since five years old. The business of the family is an orchid farm in Davao City. As early as five, we would take flowers—my dad had at the lab at home for culture ng orchids—and I would boil and mix them together. That's why I took chemistry in [Ateneo] because it really interests me. In 2014, I went to France to do the actual training. What kinds of fragrances do you develop? It's a wide range. From the eau de toilette, may cologne, may perfume. We also have a line of room scents. These are all the retail. What I offer also is customization. What's the usual base if it's customization? Anything under the sun? Yes! I give them a questionnaire. I ask them, "When you smell your perfume, what colors do you want to see? What music do you want to hear?" Yes. I also ask what textures you want to feel. Even particular memories. The essence of the product is really bottling things that you can't bottle. What's the most outrageous scent you have developed? Hindi naman! (Laughs.) Then, I worked with Mind Museum and they wanted a scent of curiosity. Sabi ko, "Ha? Anong scent 'yon?" 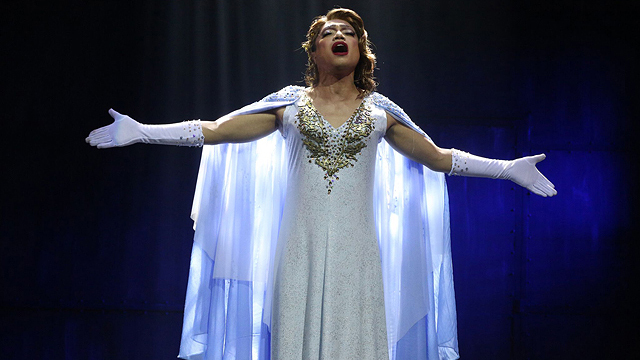 "Basta, ikaw na bahala! It's about curiousity!" So based on creative process, curiosity is all about capturing new ideas, trying out new things. So very high 'yong emotions. So the smell is very neon colors, acidic, striking to the senses. It's a mixture of apple, oranges, patchouli, herby 'yong scent. How much does it cost to have a customized scent? The customization starts at P3,500 for a 30 ml [bottle]. But that's the initial kasi may development fee. But then in the long run, when you reorder, it's lower. How can we get our hands on these nice things? Everything is online. I just consign some items in Makati para lang when people want to try it out. Do you plan to have a stall or a store? Ideally! In the near future. I hope it's not just a stall but an experience room where it's multi-sensory. That's what I will try to recreate in MaArte. 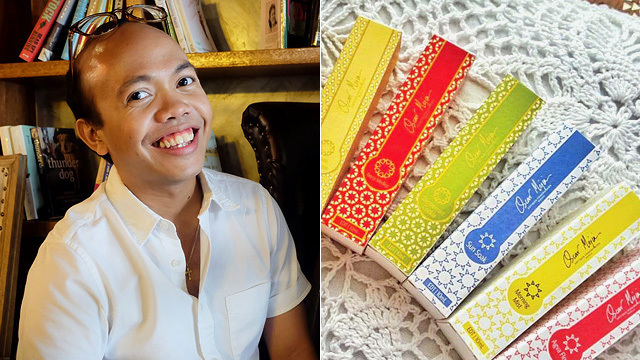 We highlight crafts, Philippine art; this one is a different kind of art—it's the art of smell. We want to recreate that during the fair, where people can sit down and really experience [the process]. The scents are all natural, so walang chemical reaction when you mix them. You can actually make your own. Are your materials from the Philippines? Some are locally sourced especially the things that we have like sampaguita and lemongrass. The rest, hindi, like lavender. Can you tell us more about the new scents you have exclusively for MaArte? The three are all sampaguita-based because it's the national flower. But they're three interpretations. One is sampaguita but woody, so that's very sensual. It's called "Gunita." Then, [we have] "Diwa." It's a little citrus-y. It has sampaguita mixed with pomelo. The other one is "Kalinaw," Bisaya for clarity. That's a very powdery interpretation, very delicate. Do you also have Filipino names for your retail products? Some. 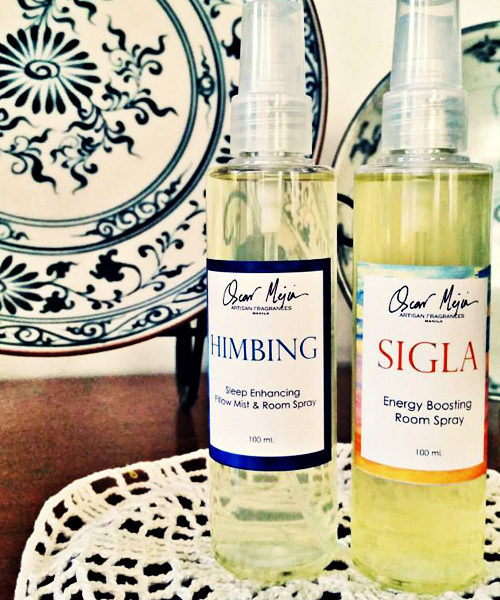 The best-seller is "Himbing," a room spray that helps you sleep. I developed it based on therapeutic properties. There's lavender, olive. My clients would come back and tell me that it's very effective. One got off his sleep meds because of the spray. How's the experience so far? Very fulfilling. For one, it's a childhood passion that I'm able to live out and earn from. I love converting different things into another form. The different experience, [in this case] sensory experience, you convert it to scents. Retail price ranges from P195 (10 ml) to P1,250 (100 ml). To order, log on to Oscar Mejia Artisan Fragrance's website.